Spaghetti, sardines... this simple pasta is easy on the budget and very nutritious. 1. Cook the spaghetti according to pack instructions, then drain and toss with one tablespoon olive oil and a little of the cooking water. 2. While the pasta is cooking, heat a little oil in a frying pan and fry the chilli and garlic for one minute. Add the sardine fillets and the zest of one lemon and warm through gently. 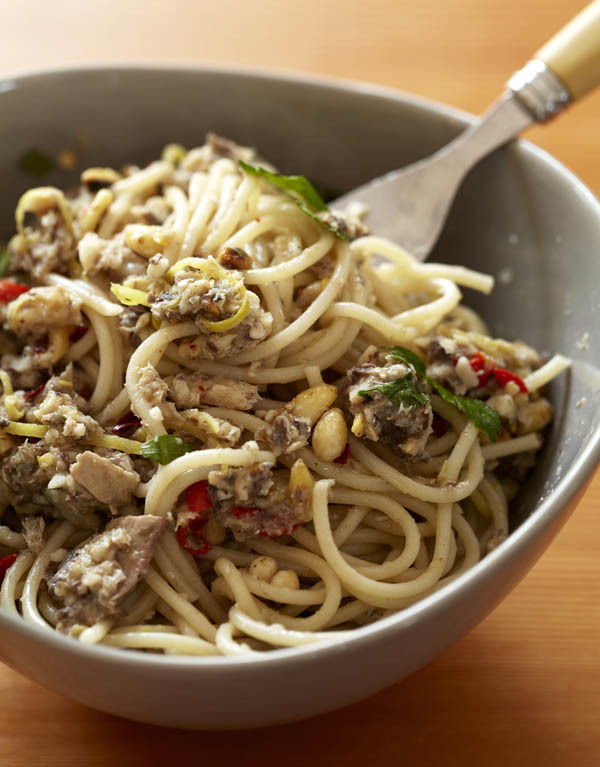 Mix the sardines through the pasta with a handful of toasted pine nuts, a squeeze of lemon juice and some chopped fresh parsley.